Designed with class-leading signal integrity and responsive ultra-deep memory, the RTA4000 brings the power of 10 to a new level. 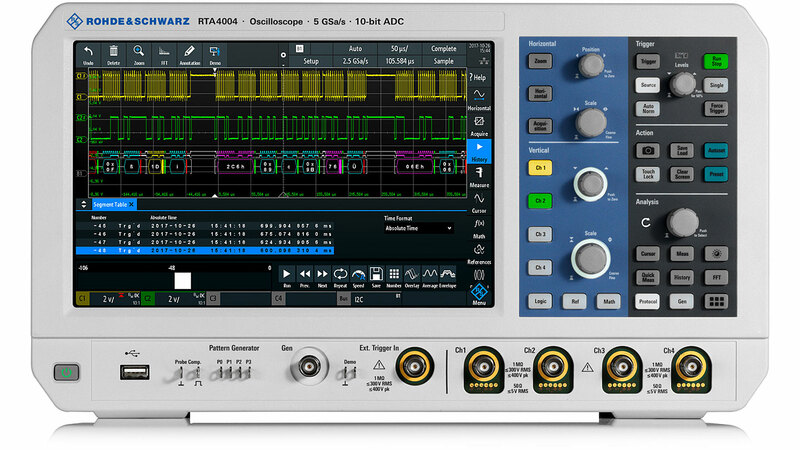 A Rohde & Schwarz designed 10-bit ADC plus class-leading noise and memory depth gives you sharp waveforms, more accurate measurements and confidence when facing unexpected measurement challenges. brings the power of 10 to a new level. plans for the long term to the benefit of its customers. Subject to change вЂ“ Data without tolerance limits is not binding. R&SВ® is a registered trademark of Rohde & Schwarz GmbH & Co. KG. Trade names are trademarks of the owners.